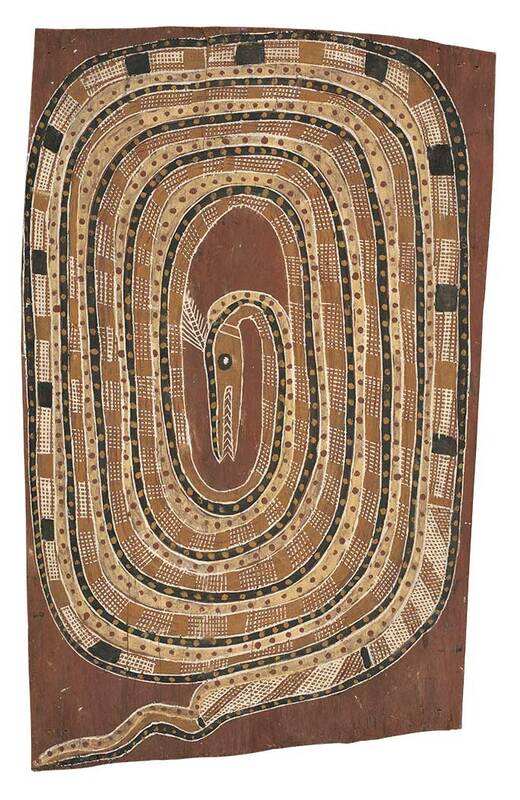 There are few artworks that can rival the power of the master bark painters from Arnhem Land. Australian audiences are lucky enough to have two fantastic opportunites to view superb early examples in the exhibitions Old Masters: Australia’s Great Bark Artists at the National Museum of Australia, and Transformations: Early Bark Paintings from Arnhem Land at the Ian Potter Museum of Art, University of Melbourne. For those unable to get to Australia, both exhibitions have some fantastic online content. The NMA has a set up a terrific digital platform which allows you to view most of the works in the exhibition, along with images and biographies of the artists. The Potter recently hosted a fantasic panel discussion featuring Lindy Allen, Howard Morphy, Wanyubi Marika, and the exhibition’s curator Joanna Bosse, which can be viewed below. 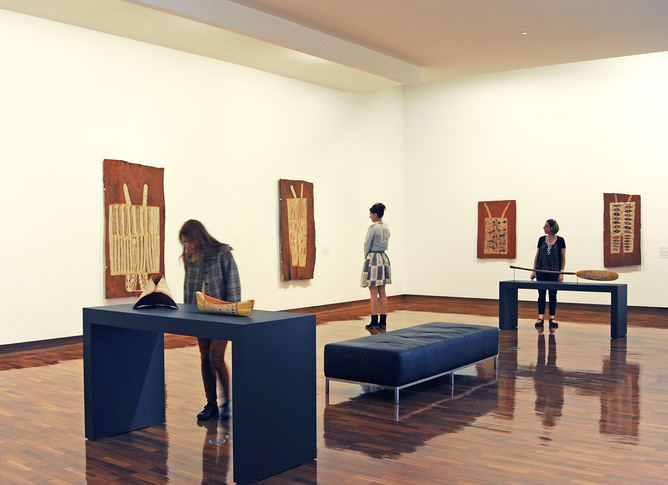 Transformations: Early Bark Paintings from Arnhem Land, Ian Potter Museum of Art, University of Melbourne. Photo by Viki Petherbridge.